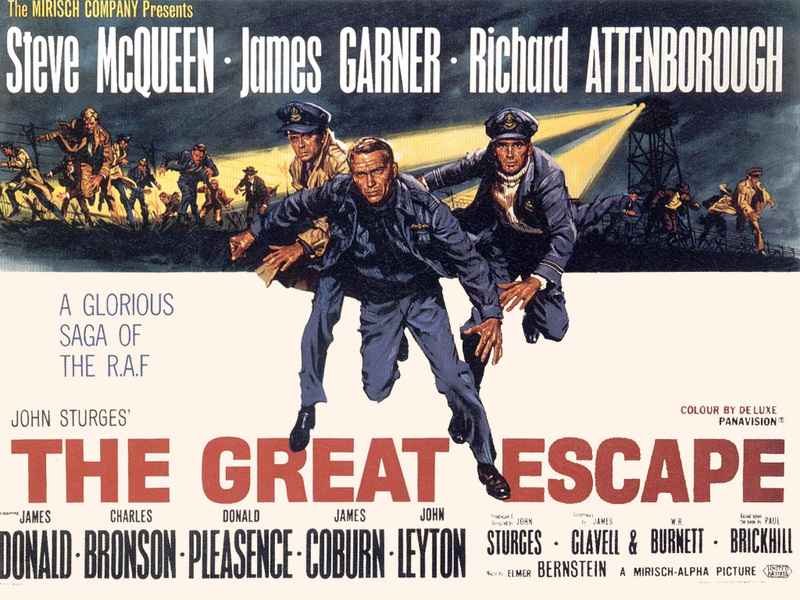 The film is the 1963 classic, The Great Escape—the sort of true story of an epic attempt at mass escape from a heavily guarded German prison camp during World War II. I was seven years old when it came out, so I never got to see it in all its full screen glory. I was first introduced to the story when one of the networks—this was way back when there were just three—aired the movie over two nights in 1967. That was a big event in our house. My parents let me stay up late on two consecutive school nights to watch it. It is actually one of my fondest “warm fuzzy” family memories from my childhood. Mom made popcorn, and Dad did color commentary about what World War II was like. I pointed out that his war was Korea—but he held court nonetheless. What makes a movie endure and remain popular half a century later? Well, certainly the cast is a factor. I mean, Richard Attenborough, James Garner, David “Ducky” McCallum (how old is that guy? ), and the ultimate Mr. “Cool”—Steve McQueen—they surely played a role (pun intended) in the film’s contemporary and legacy success. But there must be more. I once saw a film that had Gregory Peck and Michael Caine in it, and it was a bomb. It’s got to be the story itself. It is my experience—as a writer and speaker—that good stories begin with questions—Why? Why not? How? What if? I am often asked how I came up with the story I tell in Camelot’s Cousin: The Spy Who Betrayed Kennedy. Well, it began with a question. In September 2011, I was invited to speak about my previous book, The Shooting Salvationist, to a forum at Dartmouth College in Hanover, New Hampshire. In the audience that evening was a writer who won a Pulitzer Prize for journalism in the early 1970s. His area of expertise was intelligence and the CIA. My host that evening invited this journalist to join us for a late dinner. It turned out to be quite an evening. Having always been fascinated by the world of intrigue during the Cold War, I picked this man’s brain. 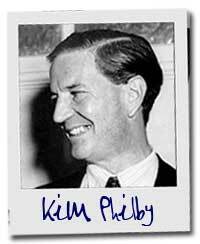 We talked much about the infamous spy, Kim Philby, who had been abruptly asked to leave the U.S. in 1951, under a cloud of suspicion. During our conversation that night the subject of materials he left behind was discussed. Philby had—according to his own memoir published in 1967—buried them in Virginia. So, I asked the question—what if someone found what he buried? And what if something Mr. Philby planted beneath the Virginia soil pointed to other nefarious people and things? That was all it took—I was hooked on a story. Pastor Stokes, I am a member of a local Orthodox Church very near to your church, in fact, we will soon be very very close neighbors once your new church is built. I have a question about politics and the pulpit and more specifically a request. I wanted to know what your perspective is one discussing how politics meets our faith when we vote and what your view is about standing up for Christ and talking about candidates and their values from the pulpit and defying the IRS and being bold for Christ. My request is simply, could you write a blog post on your position on the candidates and where Christians should turn for guidance on how our faith should influence our faith. Obviously I have my opinion, but I’ve been severely questioning our church’s stance and their fear to even speak about the issue due to threats from liberal congregation members and I see God’s people lost and confused and repeating liberal narratives and falling for their traps and consequently convince Christians to vote against their values. Not an eloquent writer here, just a simply guy with passion for the subject. -Signed Lost in Fairfax!!! Please help.